The national theater's upcoming performance in Kiryat Arba settlement proves that boycotts against Israeli activity in the West Bank alone will never destabilize the occupation. For the past 17 months the Palestinian Football Association (PFA) has been demanding that the settlement-based clubs should be banned from all IFA leagues and competitions. Now the FIFA-led negotiations on the issue are coming to a head, with a proposal due to be presented to the FIFA Council on 13-14 October. Students at the University of Exeter have voted overwhelmingly in support of a boycott of goods produced in illegal Israeli settlements. The Palestinian BDS National Committee (BNC), the largest coalition of Palestinian civil society, applauds Vitens, the largest supplier of drinking water in the Netherlands, for the decision to end its cooperation agreement with Israel’s national water company Mekorot because of Vitens’ commitment to international law. 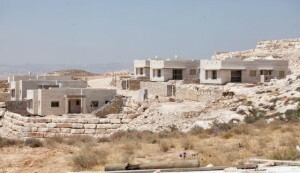 The BNC also commends the Dutch foreign ministry, who had advised Vitens about the cooperation and in general discourages financial transactions with illegal Israeli settlements. The Romanian government has said it will stop sending construction workers to Israel if Jerusalem does not pledge they won't be working in the West Bank. The two sides have been trying to reach a new agreement for about two years but have failed despite Israel’s shortage of workers in the construction sector. In March 2012, the UN Human Rights Council adopted a resolution establishing a Fact-Finding Mission (FFM) with the mandate to examine and issue a report on how the illegal Israeli settlements impact on the human rights (all civil, political, social, economic and cultural rights, including the right to self-determination) of Palestinians. Israel boycotted and refused to cooperate with the proceedings preventing the entry of the FFM into the West Bank. The FFM invited Palestinian victims and experts, including NGOs, to submit written submissions and oral testimonies in October 2012.